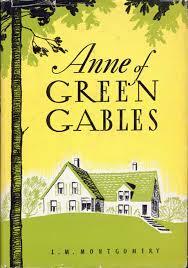 I have always loved Anne of Green Gables by L. M. Montgomery. I love the novel and I love the movie adaptation. It’s one of my favorite books from my childhood and I have continued to love it as I have begun to raise my own family. I have read this classic several times and jumped at the chance to read it again as part of my Classics Club list and write a review here on my blog. This story makes me happy. It’s just a feel good story that inspires me to be happier, more loving, and more kind. This is a book I want to read again and again and plan to read with my children one day. Anne of Green Gables chronicles the coming of age story of Anne Shirley, an imaginative and quirky girl looking for kindred spirits and a place to call home. Through a lucky miscommunication, she finds herself at Green Gables, the beautiful Canadian farm belonging to siblings Matthew and Marilla Cuthbert. They adopt Anne and change her life–giving her opportunities to blossom into an intelligent and loving woman. Anne is a classic protagonist. I love everything about her. She is quirky, loving, passionate, and hard working. I love that she loves books and learning. I love how hard she works in everything she does. Because she works hard, she nearly always succeeds, in school, work, and in friendship. I love that is a true and loyal friend to all sorts of people from sweet, kindred spirits Diana Berry and Matthew Cuthbert to tough skinned Marilla Cuthbert to incredible teacher Miss Stacey. But the best thing about Anne is that she tries to learn from her mistakes and is willing to change. I see myself in Anne, making mistakes and trying to be better. 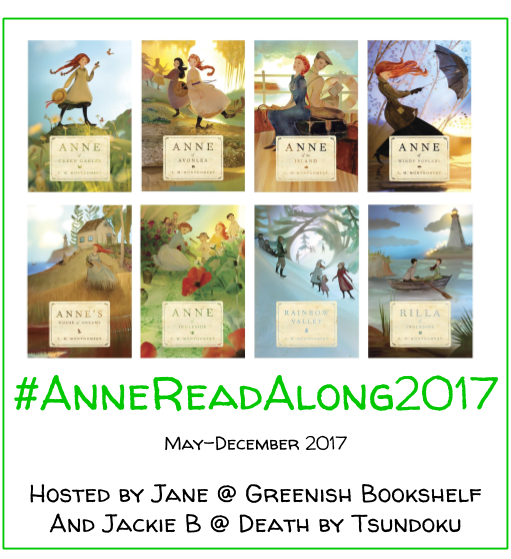 I think we can all see ourselves in Anne and her story. One of my favorite elements in this novel is the writing style. Montgomery creates a truly memorable and beautiful story through her writing. Her style is simple and easy to get enveloped in. Her writing makes me feel like I am a part of her story. I have been to Green Gables and wandered the paths of Prince Edward Island with Anne and Diana. I cried and mourned with Anne when she lost Matthew. I laughed at Anne’s antics and ridiculous mistakes like her green dyed hair and superfluous apology to Mrs Lynne. I have traveled to Queens with Anne and wandered through her Lover’s Lane. I just feel happy when I read Montgomery’s writing. Green Gables is one of the great settings within a novel. I hope to one day explore Anne’s Avonlea on Prince Edward Island in Canada. Because her writing is so vivid, I feel that Montgomery has already transported me her so many times. Not only is the larger setting lovely, but I think Green Gables is equally memorable. It’s a picturesque farm that becomes a special home for Anne. It inspires me to create a similar safe haven in my home for my children. The themes that flow throughout this story are lovely and add to the quality of this novel for me. The importance of friendship, loyalty, education, family, learning from mistakes, and finding happiness are all seen throughout this novel. Anne teaches us to find kindred spirits in all sorts of places. She teaches us to make sacrifices for the people we love. She teaches us the value of an education and of working hard to fulfill big dreams. She teaches us to move forward after we make a mistake and seek to make amends. And she teaches us to find joy and happiness in life’s journey, no matter our circumstances. A review of Anne of Green Gables would be incomplete without a mention of Gilbert. I adore Gilbert. From his first interaction with Anne and the broken slate over his head, to their reconciliation and budding friendship at the end of the novel, I was always rooting for Gilbert. He is the classic boy next door who is perfect for Anne. It just takes her so long to figure it out for herself. We all breathe a contented sigh when they finally become friends at last. What do you love about Anne of Green Gables? Any recommendations for books like this one? Although I am fairly well read in the classics, I have yet to read this. I know…I’m terribly ashamed. It’s always been this guilty deficit in my resume that I knew I must get to someday out of duty. But your review is so compelling, I now know I must read it for my own satisfaction. 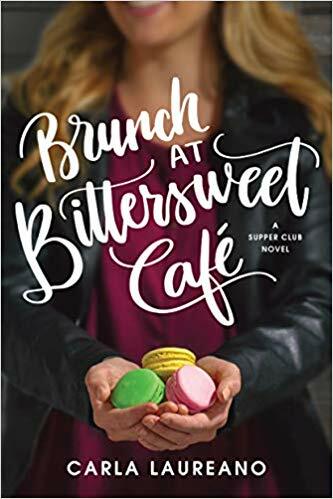 I don’t always need “happily ever after” to enjoy a novel….but a good…feel good read, is still a wonderful experience. Bumping this up on the tbr. Love “Anne Of Green Gables” and all the L.M. Montgomery books. 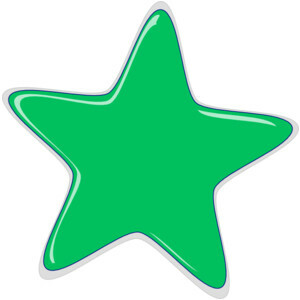 Thanks for bringing back pleasant memories from a book.Did you ever read L.M. Montgomery’s “Patricia” series or her “Marigold” series? They are worth reading too.